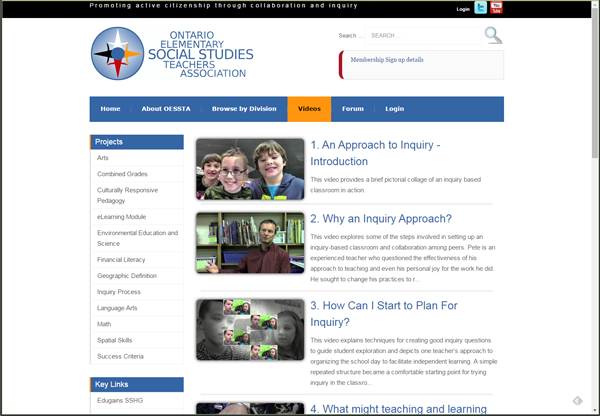 Becker Associates helped the Ontario Elementary Social Science Teachers Association with their very first website moving from a Blogspot site to a full, open source, content management system. This year-long project involved going through their current content and all the new curriculum material they were producing and create the information architecture from scratch for all their documents, video and resource pages. Their new site includes video galleries that pull directly from their OESSTA YouTube channel and several playlists, as well as member forum. We are proud to have helped another subject area association with their management and on-line presence.